JUNEAU — Alaska’s alcohol board has ruled that the Alaska State Fair can keep serving alcohol, but other businesses are now running into trouble with the board after members declined to extend their licenses amid tougher enforcement of an old state law. Legislation advancing in the Alaska Senate may bring relief, but only if lawmakers and the governor agree. 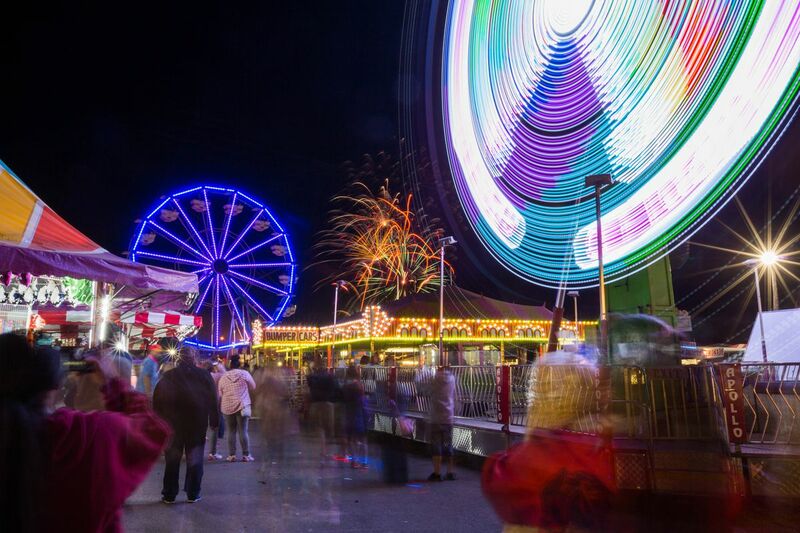 The five-member Alaska Alcoholic Beverage Control Board voted unanimously Feb. 19 to extend the state fair’s “recreational site” alcohol license, going against a recommendation from Alcohol and Marijuana Control Office staff that it not be renewed. For years, the board has renewed recreational site alcohol licenses given to ski areas, bowling alleys and the fair even though state law doesn’t list those businesses as eligible for the licenses. In 2014 and 2017, legislative auditors faulted the board for failing to follow the law, and after the last warning, control office staff started recommending that the board not renew ineligible licenses, even though some have been on the books for decades. After the problem was brought to the attention of the public, Sen. Peter Micciche, R-Soldotna, introduced legislation to fix the issue. Senate Bill 16 was scheduled for a hearing in the Senate Finance Committee on Friday morning. The advance of that legislation appeared to prompt the alcohol board’s decision. “I can’t see where it’s in the public interest to put a halt to a 40-year tradition while we wait for the Legislature to pass what they’ve already identified as a problem and are already on their way to solving,” board chairman Bob Klein said during the meeting. Assistant attorney general Harriet Milks cautioned the board that it should not make a decision based merely on prospective legislation. “You do have the authority always to act in the broad public interest … but what you don’t have the authority to do, respectfully, is make a decision on pending or aspirational legislation,” she said. The board approved a two-year license extension minutes later. "I’m not going to be the one to say, ‘Oh no, sorry, our state legislature is completely whack, we don’t know what they’re doing, so sorry, until they rewrite this, you’re completely screwed,’” board member Sara Erickson said shortly before she voted yes. While the fair has two years, some businesses don’t have as long. Ten others are subject to the new interpretation of the recreational site license law, and four had license renewals denied by the alcohol board minutes after the board renewed the fair’s license. Among the denials was a river rafting tour, a spa run by The Alaska Club in O’Malley Center, and the Juneau bowling alley that hosts the Legislature’s bowling league. Among the six license renewals in danger are the Denali Arts Council theater in Talkeetna, Coming Attraction Theatres in Wasilla, the Liarsville tourist attraction in Skagway and Dimond Bowl in Anchorage. Hugh Ashlock, a partner at Dimond Center and the alcohol licensee for Dimond Bowl, said he hopes the Legislature won’t just approve Senate Bill 16 but will approve a broader rewrite of the state’s alcohol laws. “We’re looking forward to the state’s rewrite because it’s going to mean economic development and jobs,” he said. That rewrite could have fixed the problem facing the state fair and other businesses but it failed to pass the Legislature last year when members of the House Labor and Commerce amended it to cut serving sizes at breweries and distilleries. That brought a negative reaction from the public, and Micciche — the sponsor of the rewrite — dropped his support for the amended bill as the session came to an end. Now, Micciche has to restart the legislative process with the alcohol-law rewrite, which is why he’s pushing Senate Bill 16 as well. Even if the bigger bill runs into trouble again, he said, it’s his hope that the smaller legislation will bring relief.